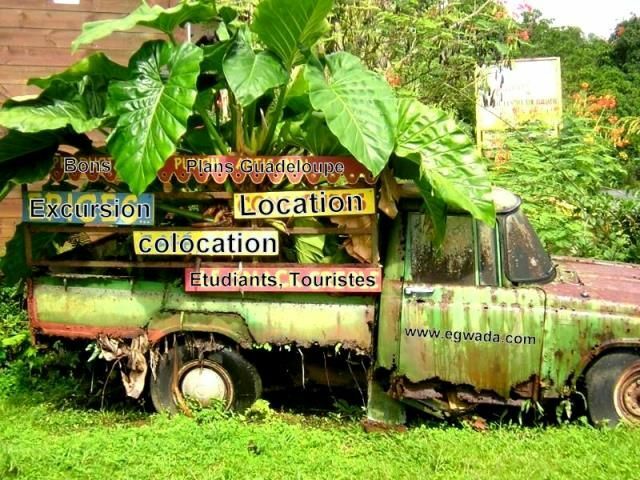 E.Gwada hostel is situated in the small and charming town of Mare Gaillard, surrounded by forests, fruit trees, sunshine and iguana. In a peaceful setting, yet close to the marina and the nightlife of Pointe a Pitre.La Chapelle is located in 636 Rue de la Chapelle, Mare GaillardThe hostel features:5 bedrooms – single – double – tripleMixed dormitory with 6 beds1 living room1 large kitchen, fully furnished1 large terrace1 Outdoor Swimming PoolFree wi-fi connectionPaid services: Breakfast, dinner, washing machine, transport, excursions.A beautiful and brand new two-story hostel, this location is perfect for backpackers, surfers (as it is minutes away from the beach and kite surfing school), chilled out vacationers, party animals, runaway students and just about anyone looking for a fun and relaxing time.The hostel has staff who speak a variety of languages from English to French to German to Italian to answer and satisfy any of your queries, or simply to chat and share stories with.Though each individual guest is free to do whatever they feel like, we pride ourselves on being able to bring our guests together to become friends, which is why we offer tours and excursions whether it’s to the closeby forests for hiking and picnicking, or the surrounding five beaches where you can learn (or show off your skills!) kite surfing, wind surfing and regular surfing. Or simply swim and sunbathe, it’s also available to make tours to the surrounding islands. The daily programme is available upon your arrival.We also host barbeques, dinners and breakfasts on the terrace to share coffee with sleepy tourists. More details upon your arrival.